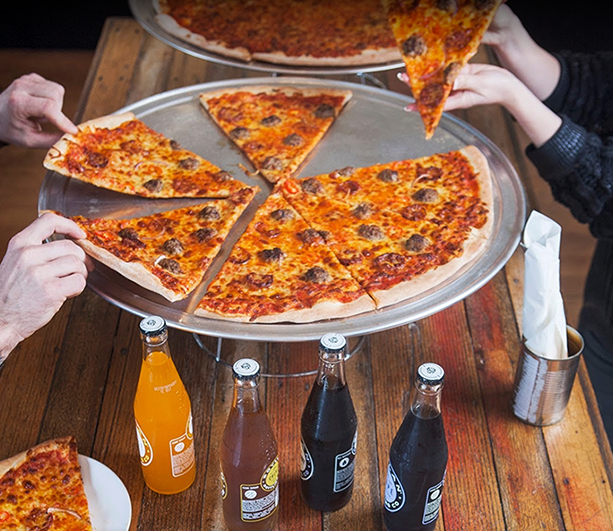 Mack Daddy's | Perth's Premier New York Style Pizza Joint bringing you the Biggest, Baddest pizzas in town! 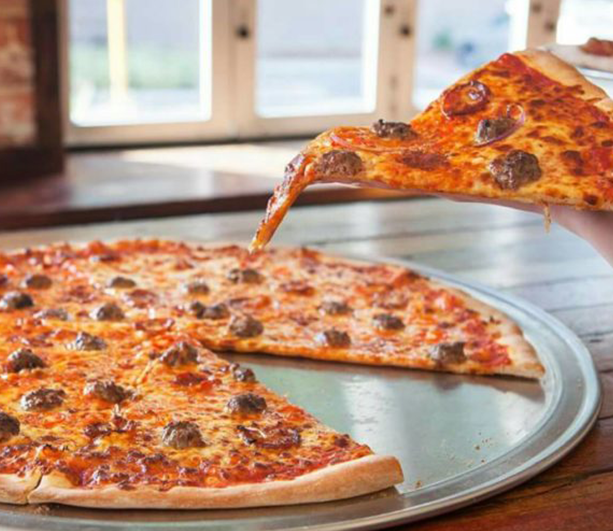 Mack Daddy’s is Perth’s Premier New York Style Pizza Joint bringing you the Biggest, Baddest pizzas in town! 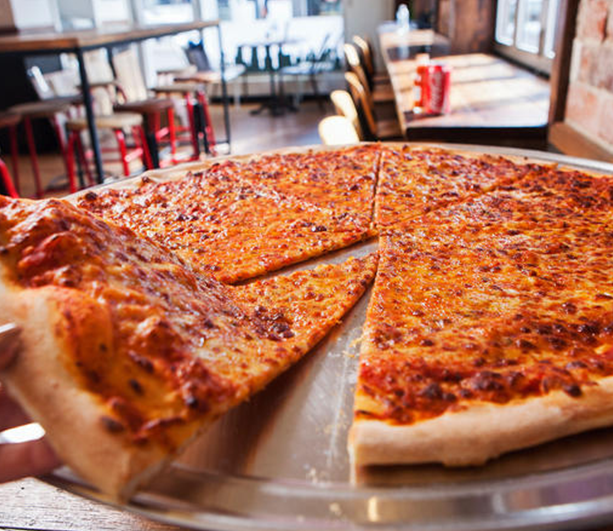 We have 16” and 22” pizzas that are also sold by the BIG slice. 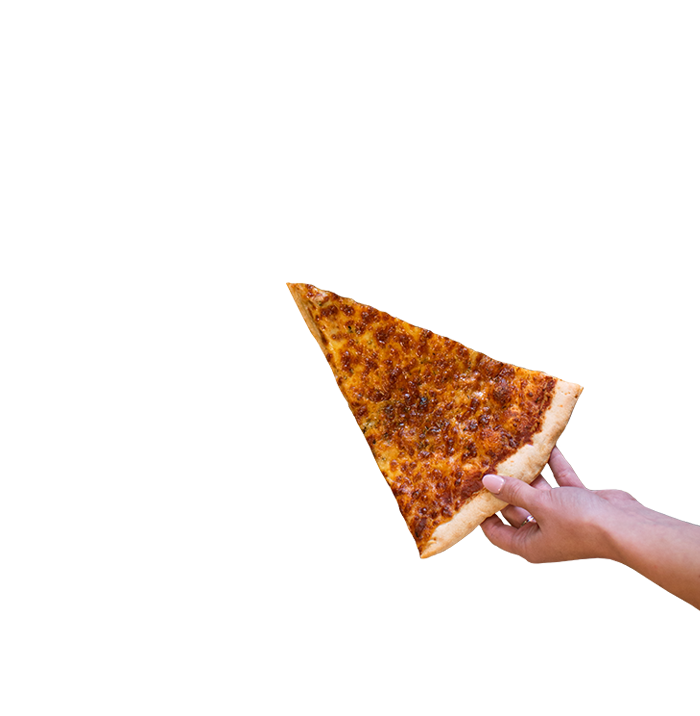 You won’t be able to resist our delicious pizza slices topped with Mack Daddy’s special sauce, the softest cheese and the freshest pizza toppings. Make sure you try Mama Macks Margherita, Big Tony’s Pepperoni and The Baller with our house made meatballs, italian sausage, fresh chilli and onion. We are not just a pretty pizza! You must try our Mozzarella Sticks, think gooey, chewy, melted mozzarella coated in crunchy breadcrumbs and served with a sweet and tangy tomato dip. Our Buffalo Wings have won awards, ok thats not true but they should! The crunchy coated juicy wings are tossed in a spicy buffalo sauce and served with a blue cheese dip! We also have a delicious New York Style Cheesecake and Peanut Butter Fudge Brownie!! Mack Daddy’s is primarily a walk in restaurant however we do take table bookings for groups of 6 – 12 people. If you wish to book for a table of 12+ please call the restaurant on 9227 7290. Grilled Chicken, Bacon, Lettuce, Egg, Anchovies (optional), Caesar Sauce. 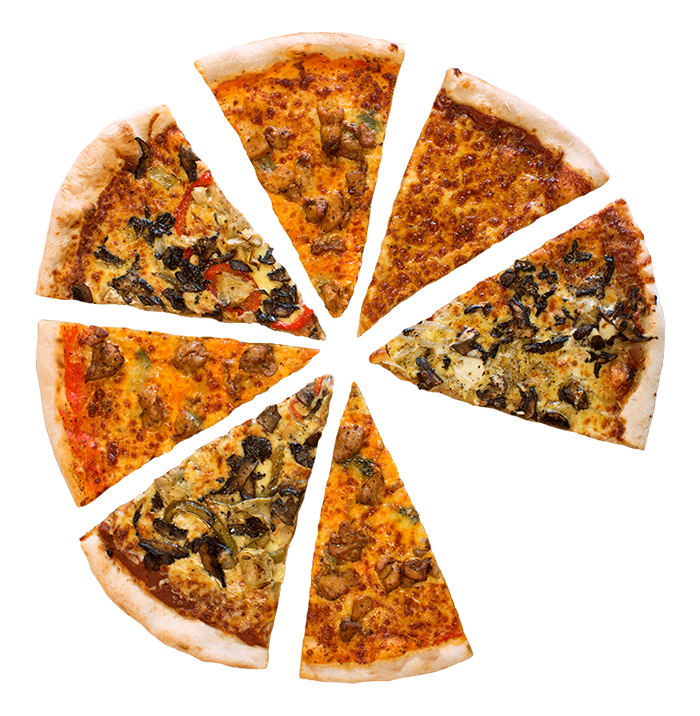 All of our big delicious pizzas contain fresh ingredients on a hand stretched premium crust. MAMA MACK’S MARGHERITA – Mama Mack’s Special Tomato Sauce, topped with Mozzarella, Romano and Herbs. Perfection. SWINE AND PINE – Fresh Pineapple, Leg Ham and Mozzarella. THE BIG CHEESE – Mozzarella, Bocconcini, Cheddar, Blue Cheese and Romano on a Tomato Sauce base. THE BRONX SAUSAGE – Sweet Italian Sausage on a Creamy Ricotta base with Garlic, Tarragon and Braised Fennel. BUFFALO CHICKEN – Louisiana Base sauce, Buffalo Chicken, Mozzarella, Blue Cheese. Spicy! THE BALLER – Mama’s Meatballs, Italian Sausage, Onion, Chilli and Mozzarella on a Tomato Sauce base. THE HONKY – Romano, Mozzarella, Bocconcini, Garlic Oil, Oregano. White Sauce Base. New Yorks Finest. BOOM, SHAKE, SHAKE THE SHROOM -Mushrooms, Roasted Garlic, Onion, Mozzarella, Ricotta, Romano. BIG SHRIMPIN – BBQ Shrimp, Mozzarella, Herbs, Tomato Base. LIVIN ON THE VEG -Mozzarella, Roasted Capsicum, Mushrooms, Onion and Artichoke. MOZZARELLA ELLA ELLA STICKS – GOOEY AND CHEWY MELTED MOZZARELLA COATED IN CRUNCHY BREADCRUMBS, SERVED WITH ZINGY TOMATO CHUTNEY. LOADED SKINS – MELTED CHEDDER AND MOZZERELLA TOPPED WITH CRISPY BACON, SOUR CREAM AND CHIVES. FULLY LOADED FRIES – FRIES TOPPED WITH DADDYS LIQUID GOLD CHEESE SAUCE, CRISPY BACON AND CHIVES. BANGIN BBQ, RANCH, GARLIC AIOLI, BLUE CHEESE, SPICY DIP. DADDYS LIQUID GOLD CHEESE SAUCE. GREAT FOR CRUST DUNKING! NEW YORK STYLE CHEESECAKE – RICH AND CREAMY WITH A BUTTERY CRUMB. BEN AND JERRYS ICE CREAM – Ask staff for flavours. 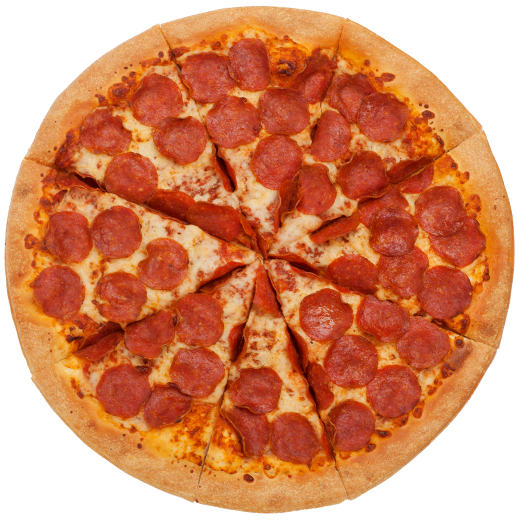 I read a stat that the average person eats 46 slices of pizza a year! This is the first time in my life I’ve been above average at anything. We can cater for almost any event big or small from Children’s Birthdays to corporate events and gatherings. 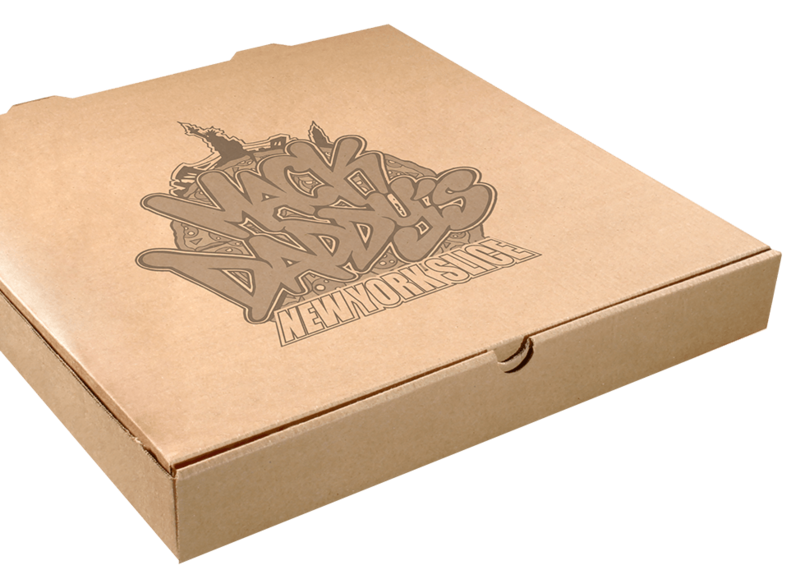 Its super easy just call to place your order over the phone 9227 7290, click on the link below or email bookings@mackdaddys.com.au. Ask us about Ninja Turtle delivery too!